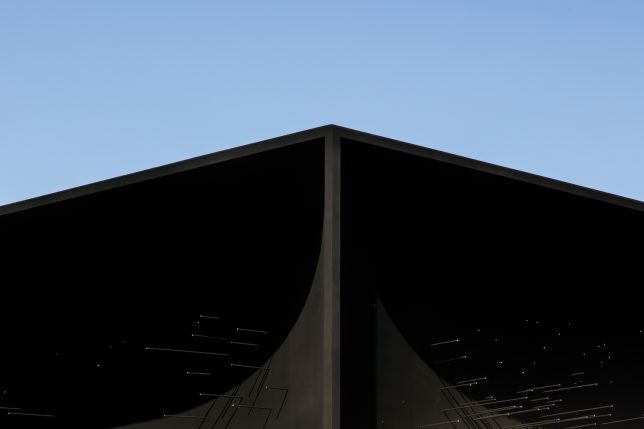 There are mysterious and maybe slightly creepy black buildings, and then there are the blackest of black buildings made from the light-absorbing pigment known as Vantablack. 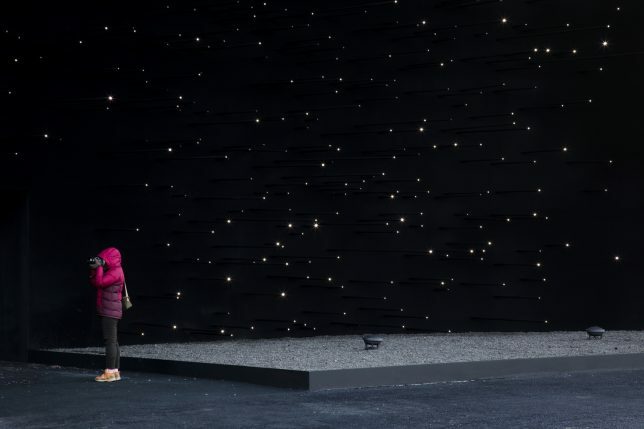 Architect Asif Khan designed a pavilion for the PyeongChang 2018 Opening Ceremony coated in the highly coveted pigment, which consists of carbon nanotubes that absorb 99% of light, making it difficult to make out shapes and textures on its surface. 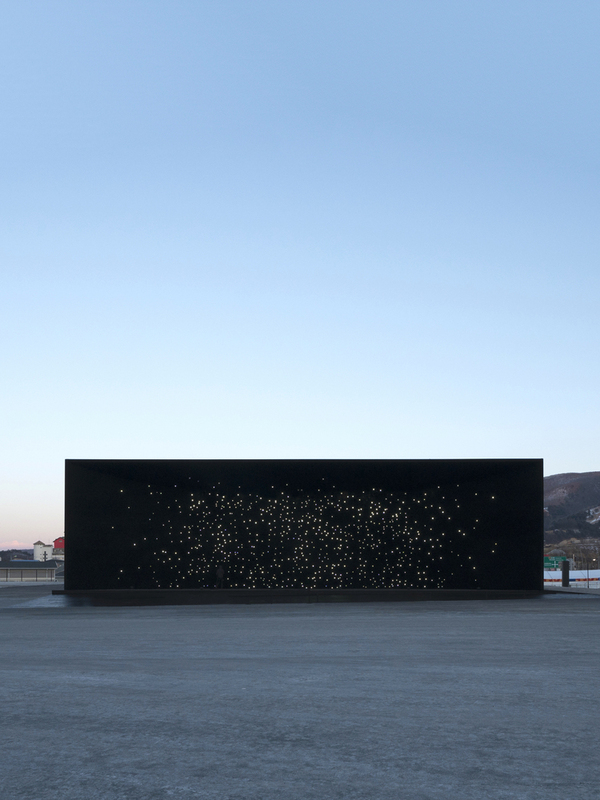 Khan creates a starry sky effect with the addition of thousands of illuminated rods extending from the facade. The experience of standing in front of the building is said to be the closest any of us will ever get to seeing what outer space looks like while grounded firmly on Earth. The rods further confuse the effect, making it difficult to tell where the building’s parabolic facade begins and ends. 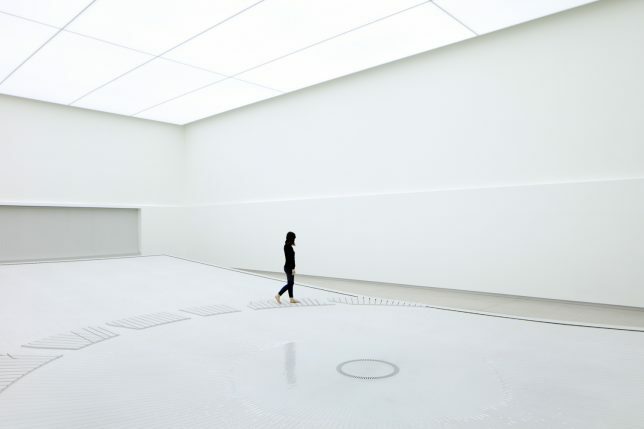 Inside, visitors find a “narrative” of five themed interiors: water, solar, electrolysis, hydrogen fuel stack and recreation of water. 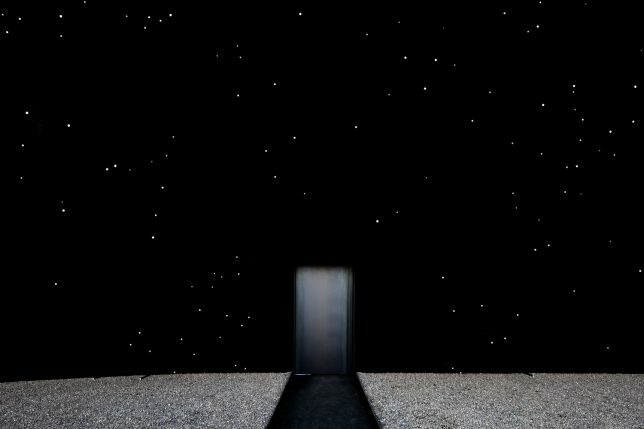 Walking through the tunnel-like entrance, you feel like you’re being enveloped by a black cloud before emerging into another world. 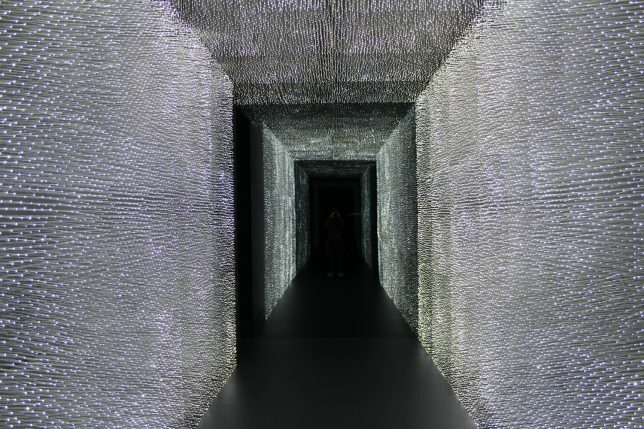 The concept was created to highlight Hyundai’s research in hydrogen fuel cells without being too literal, highlighting outer space as the birthplace of hydrogen during the Big Bang. 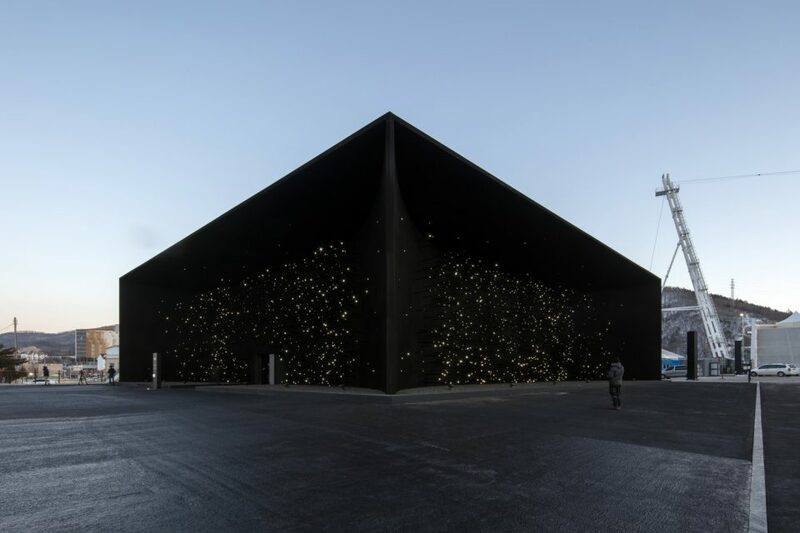 Vantablack is perhaps most famous for being licensed exclusively to the sculptor of Anish Kapoor, a controversial designation that hasn’t made Kapoor too popular with his fellow artists and spawned some passive-aggressive sparring. 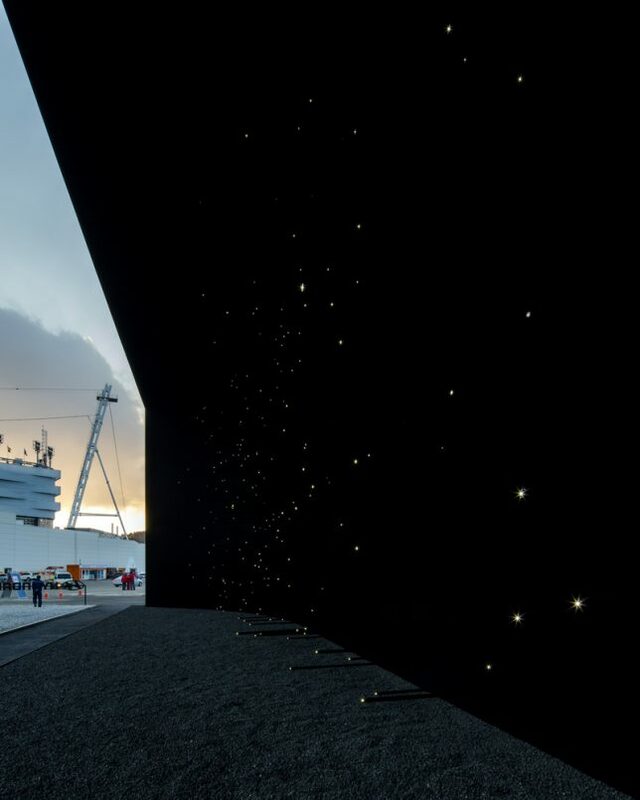 Ben Jensen of Surrey Nanosystems, which created the material, says Vantablack will never be a retail product because it has to be applied by specialist contractors using a technique that forms a consistent nanostructure. 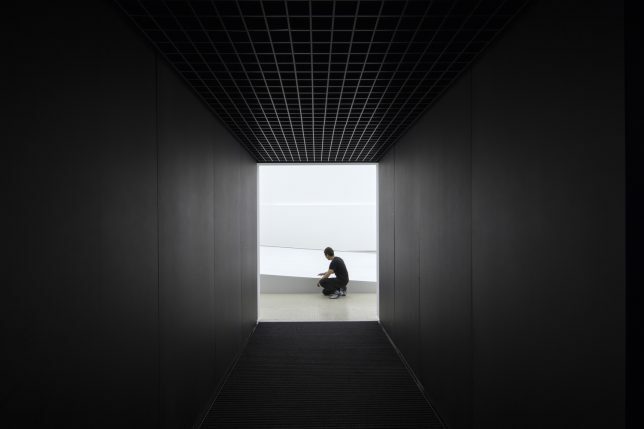 For a deeper explanation of each of the five interiors and their meanings, check out an interview with Jang Young of Hyundai Creative Works at Archdaily.